This is the dramatic tail -- er, tale! -- of Larry the Lobster, a giant 15-pound crustacean who narrowly escaped becoming dinner at a Florida restaurant and who is now headed to Maine, where his "rescuers" hope he will get to "live a better life." The lucky lobster first rose to fame in the town of Sunrise, Florida, after a local seafood restaurant owner bought Larry from a vendor, was "astounded by his big size" and thus went to local news outlets to share his "rare find." 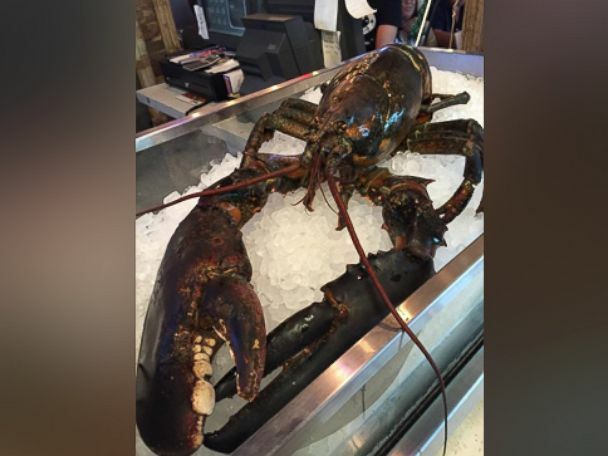 "This lobster came in at a whopping 14.98 pounds," Joe Melluso, owner of Tin Fish, told ABC News. "Jumbo lobsters we get are usually between three and five pounds, SO this was over three times the size of a regular jump lobster." Melluso told local news he believed the lobster was 110 years old, given its size. However, a lobster scientist and researcher from Maine said, though the lobster is probably "quite old," 110 years "might be a bit of an exaggeration." A 15-pound lobster, estimated by a marine scientist to be between 60 and 80 years old, narrowly escaped becoming someone's dinner at a restaurant in Sunrise, Florida, after a group of locals said they bought the lobster and shipped it off to Maine. "There's no confirmed way to tell a lobster's age, though you can make a guesstimate based on their size and current growth models," said Dr. Robert Bayer, executive director of the Lobster Institute in Maine. Bayer told ABC News Larry was more likely between 60 and 80 years old. Nonetheless, news of the giant lobster caught the attention of several diners in the area, Melluso said, adding that one gentleman bought and reserved it for a family dinner on Tuesday evening at the Tin Fish restaurant. But just before Larry could be cooked, several animal activists called Melluso, asking him if they could save the lobster and just reimburse the gentleman who originally bought it. "They really opened up my eyes and it got me a little emotional," Melluso said. "We went ahead and donated the lobster to them." 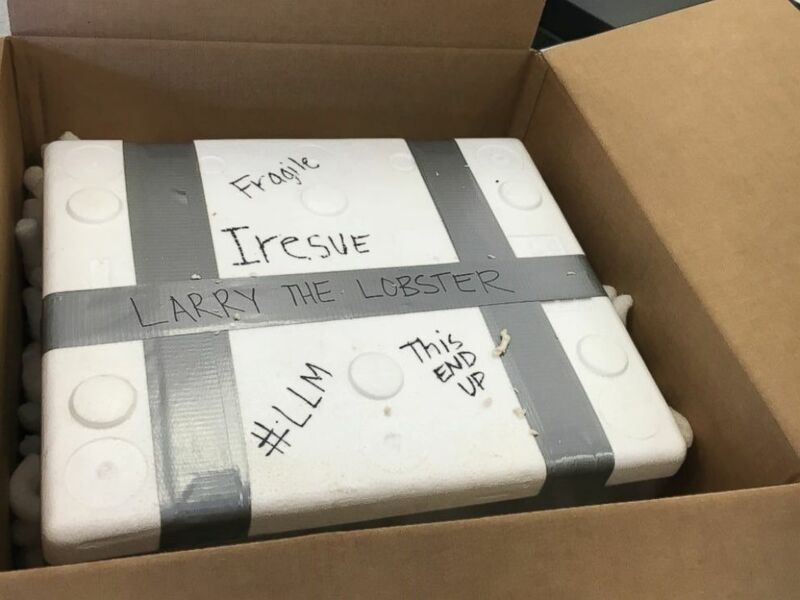 And so rather than being put into a pot, the lobster was put into a special container with salt water to be shipped to Maine, according to Brooke Estren, an attorney based in Boca Raton who coordinated the rescue and named the lobster Larry. "One of my friends, who works for an animal rescue based in Costa Rica, was able to contact the director of the Maine State Aquarium, and we're sending Larry off there now," Estren told ABC News on Wednesday. Larry is expected to arrive at the aquarium sometime today, according to Jeff Nichols, communications director for the Maine Department of Marine Resources, which operates the Maine State Aquarium. "If it does arrive here, and it's in good health, aquarium staff will quarantine it," Nichols told ABC News. Nichols explained that it was "impossible to tell" what would happen to Larry after the quarantine. However, Estren told ABC News she hoped that Larry would get to "live a better life" whether the aquarium decides to keep him or set him back free in the ocean.